Technology is heavily integrated into our operation as we have always tried to remain at the forefront. Digital Photography enables us to immediately transmit photographs of casualties to overseas clients through the internet. Throughout each assignment, our surveyors stay in contact with base by mobile telephones and modem communications. Outside the range of mobile telephone transmissions VHF radios are used. We employ a full range of survey devices to ensure the job is completed as best and accurately as possible. Our ultrasonic hatch cover testing device permits the convenient testing of hatch covers while cargo remains on board. 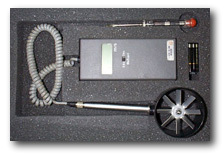 Ultrasonics are also employed in the form of steel plate thickness gauging tools. A specially calibrated digital fan-wheel anemometer enables us to measure the airflows through cargo holds prior to loading perishable products. Our other devices allow us to test cargoes of all types using refrigeration spear themometers, grain temperature, moisture and humidity meters. We can take samples of liquid cargoes from any depth using a chromium steel tank contents sampling device. We have arrangements with approved chemical laboratories for further testing of cargo samples in the form of chemical analysis of petroleum products. We also have contact with insect experts for identification in cargo infestation cases. Additionally we have contact with Agronomists for advice regarding Agricultural Cargoes. Our office computers are the latest technology including colour printers, cdr recorders and scanners. We have currently scanned the first 11 years of our records onto cd rom for convenient storage.